In recent weeks there's been a lot of alarmist local press about the Brazilian economy stagnating. From my limited perspective it seems to be more a case of temporarily slower growth rather than a shrinking economy and certainly a much more manageable problem than the ones in left behind in Europe. 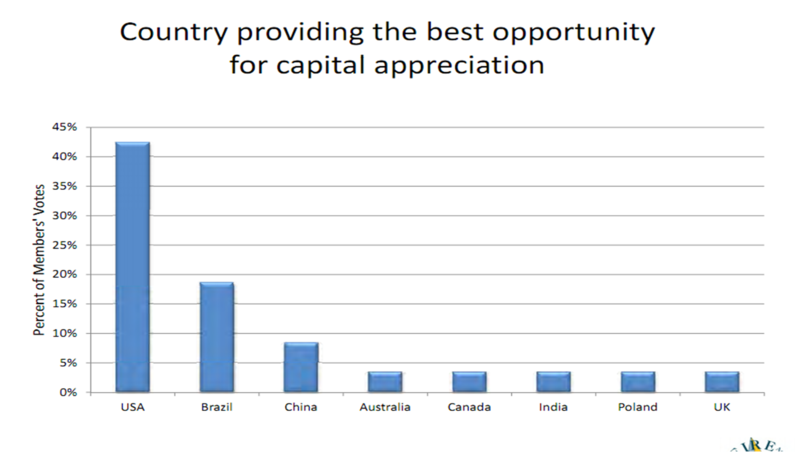 "Although the U.S. is still regarded as providing the best opportunity for capital appreciation , its first-place score shrank from 64.7% in last year’s survey to 42.2% this year, with Brazil closing the gap in second place with 18.6% of the votes. 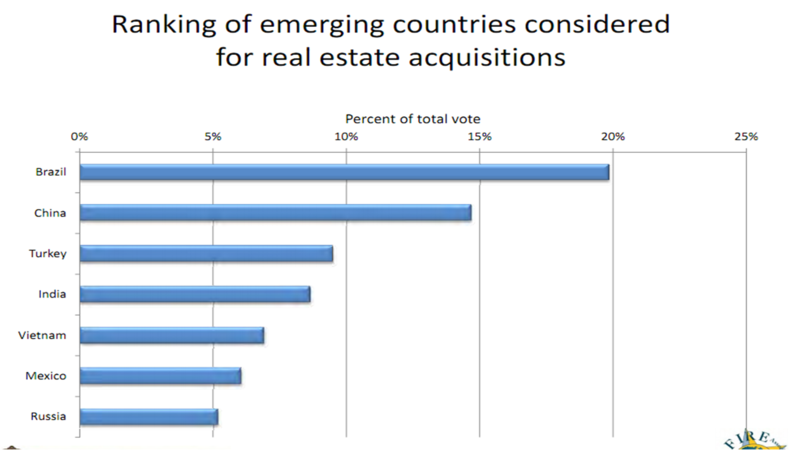 Survey respondents hold more than $874 billion of real estate globally, including $338 billion in the U.S"
"Brazil and its largest city, Sao Paulo, have emerged among the global leaders in this year’s survey. 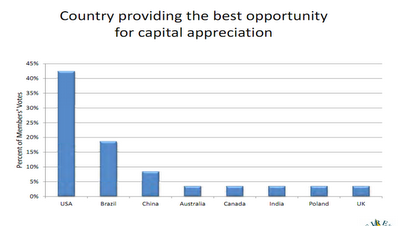 Brazil jumps 14.2 percentage points, from fourth place in last year’s survey, to be named the second best country for capital appreciation, pushing China into third position. With the U.S., these countries received approximately 70% of the vote on this question; the remaining 30% was spread across 13 countries on five continents. 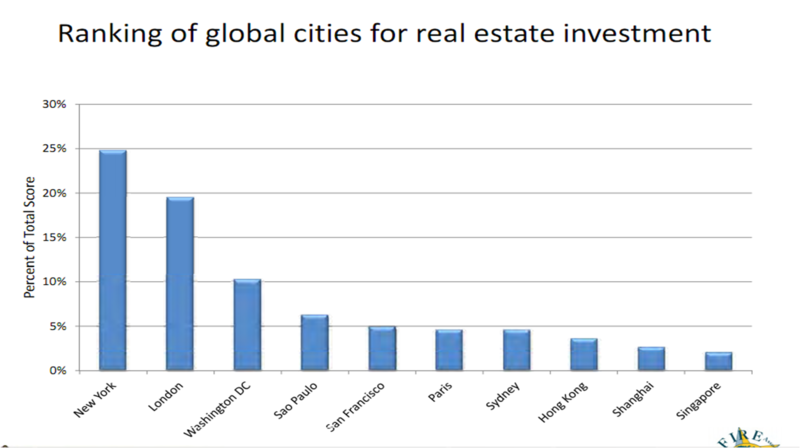 Sao Paulo rose from 26th place to be named investors’ fourth global city for real estate investment dollars in 2012. " 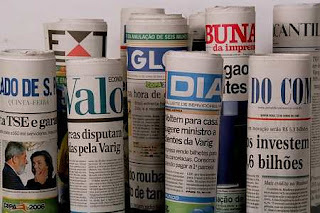 Very nice site,In future i ready to hear more from you.i like your post. Thank you so much for sharing all of the good info! I am looking forward to checking out more posts! São Paulo is my favorite place for living. Recently I went there and passed some times. It was really enjoyable tour for me. Though it's really expensive to live there. Informative. Really informative post so far. I'm so much interested in this type of article. Thanks for sharing. I read your blog,I really like it.which is abouot investment property in Newark. They’ve got the financial muscle to wait for years before the investment starts showing any results. There is a huge demand for affordable residential and commercial office space in the area. I am seeing that you are selling home. I have also a site related to you. sometimes it is smart to reduce your rents. And I just recently reduced the rent on one of my rental properties. Let me explain how this came about and why I did it. these countries received approximately 70% of the vote on this question; the remaining 30% was spread across 13 countries on five continents. 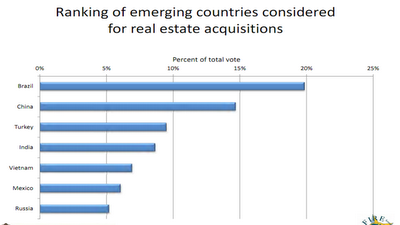 Brazil and São Paulo are emerging global leaders for real estate investment as shared at gklaw.ca/ site. Such an impressive news this can be really motivating, nice post share mate. Keep me posted. I am very much pleased with the contents you have mentioned. I enjoyed every little bit part of it.It contains truly information. I want to thank you for this informative read; I really appreciate sharing this great. 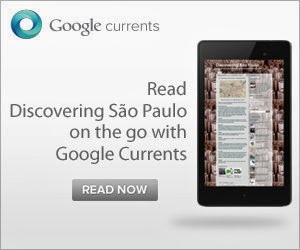 Brazil and São Paulo are doing excellent work indeed just like what shared at gklaw.ca site. Nice learning about emerging of global leaders for real estate investment. Everything is indeed really well, appreciated post. SpainForSale.Properties is an Exclusive Real Estate Agency offering Luxurious Properties For Sale and Rent on the Costa del Sol, such as: Luxury VILLAS FOR SALE IN GUADALMINA BAJA SpainForSale.Properties is considered one of the most trusted Exclusive Real Estate Agencies in Marbella, Costa del Sol and other “Prime Locations” in Spain.Live on the Costa del Sol and Enjoy a Luxurious lifestyle in one of the most beautiful places of the World.